Theriault's, the leading doll auction company, will sell extremely rare editions of bisque and Madame Alexander dolls at their upcoming two-day sale. 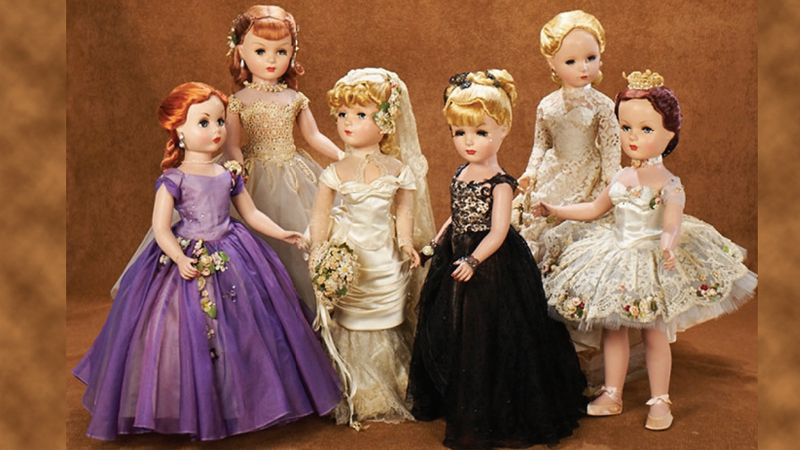 On March 16 and 17, Theriault's will auction over 750 vintage dolls, including one-of-a-kind versions of antique bisque and Madame Alexander dolls. 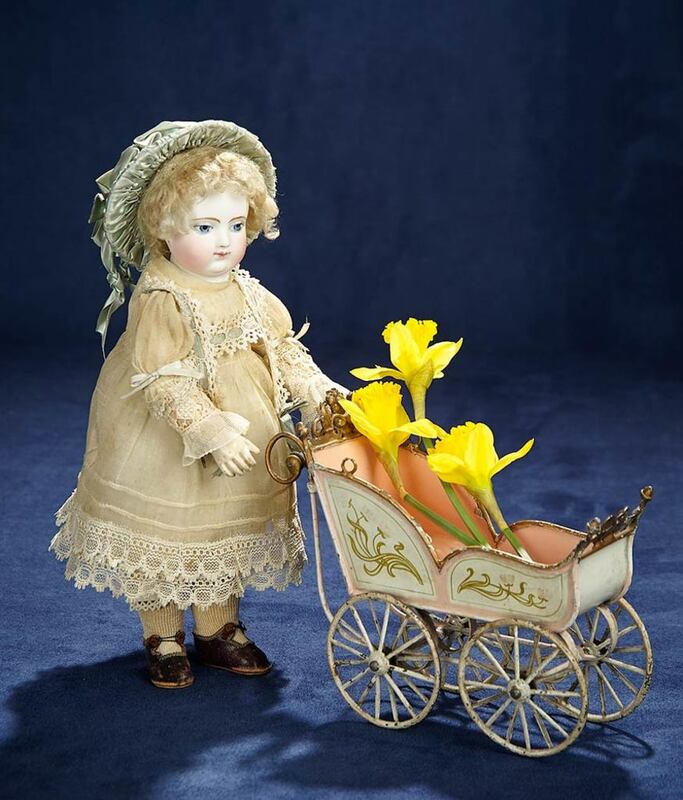 Porcelain dolls first became popular in the Western world in the early 19th century and reached the zenith of their success between 1860-1900 in France and Germany. Bisque refers to a doll whose face is made from unglazed porcelain, so that the skin would appear more realistic and is fired at extremely hot temperatures (2300 degrees Fahrenheit). This Bisque French doll dates to 1865 and is made by Adelaide Huret, one of the leading Parisian doll makers. Her head is bisque, while her body is made of wood, and she is wearing a lacy antique costume in excellent condition. The carriage is sold separately. This elaborately attired doll dates to 1862 by Leon Casimir Bru and is in her original costume with signed shoes by Bru. Bru was one of the first and most prominent doll-makers who started his company in the 1860s and opened the first doll store in Rue St Denis in Paris. His dolls are some of the most treasured on the market. 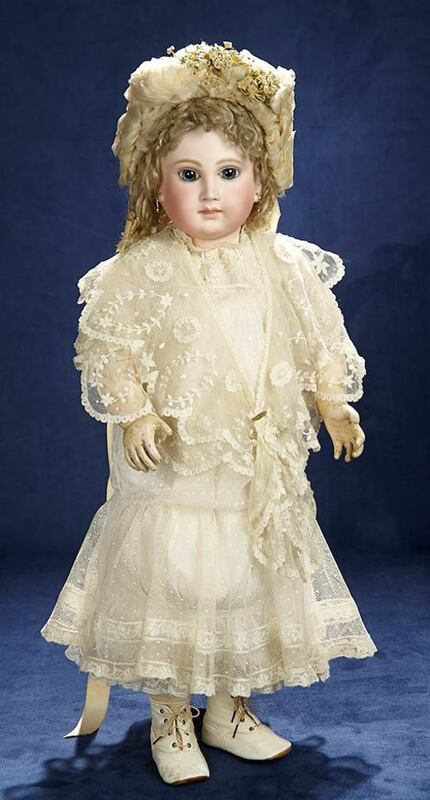 This bisque doll was made by German dollmakers Simon & Halbig in 1900 for the French market. Beginning in 1890, the company started producing more child-like depictions rather than fashion dolls. This Asian doll is richly robed in an embroidered silk kimono and jacket, black mohair wig with elaborate headdress and the original shoes. Schmitt et Fils was one of the leading dollmakers in Paris in the 19th century. 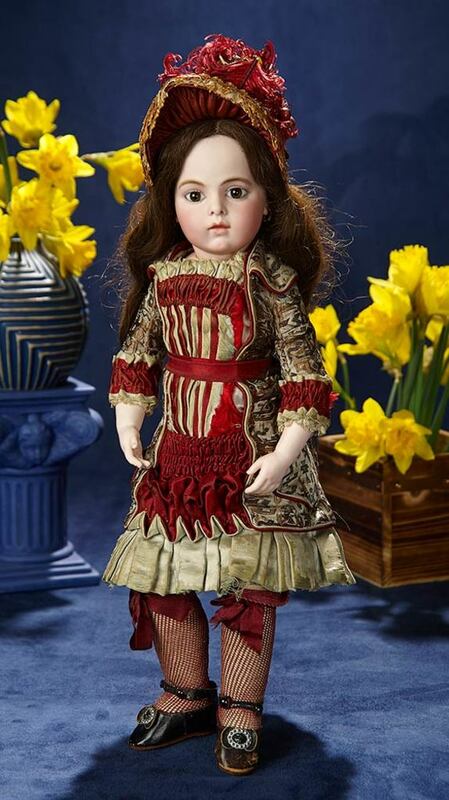 This French bisque bebe doll was designed in 1882 with an antique lace costume, artistic features and original label. The McGuffey Ana dolls were first produced in 1937 and this is one of the rarest editions dating to 1951. 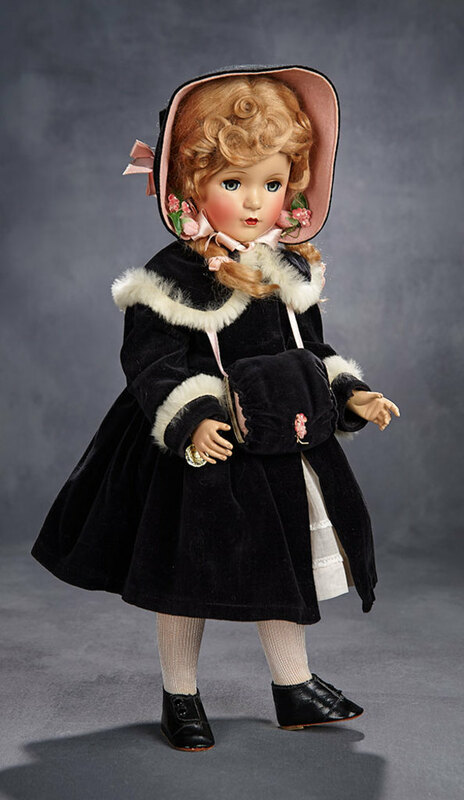 With honey-colored hair and gray-green eyes, she wears a black velvet coat with white fur trim, a black bonnet with pink trim and a pink cotton dress. 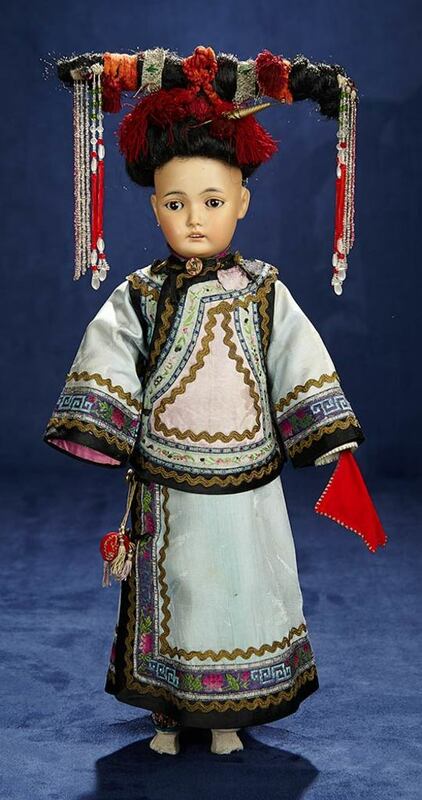 The doll is virtually unknown in this rare color combination and superb state of originality of coiffure, complexion and costume. The Mystery Doll Series from 1951 is one of Madame Alexander's most exclusive lines with six lavishly dressed and exquisitely painted portrait dolls that were available by request only and made in limited numbers. They were of such high quality and attired in detailed, beautiful garments that Madame Alexander won a Fashion Academy Gold Medal in 1951 for them. 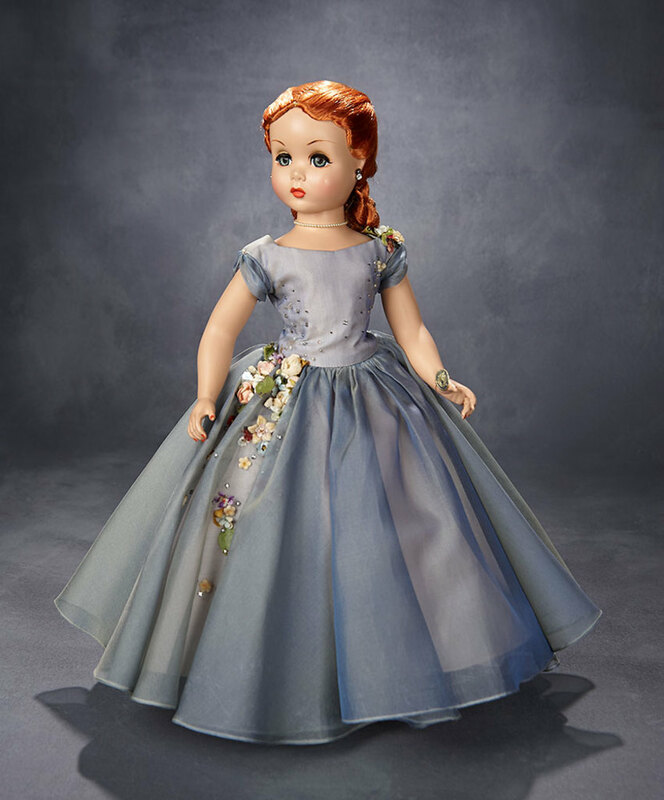 This very rare version of Judy The Debutante wears a blue silk gown (this doll often wore a purple gown) decorated with rhinestones. 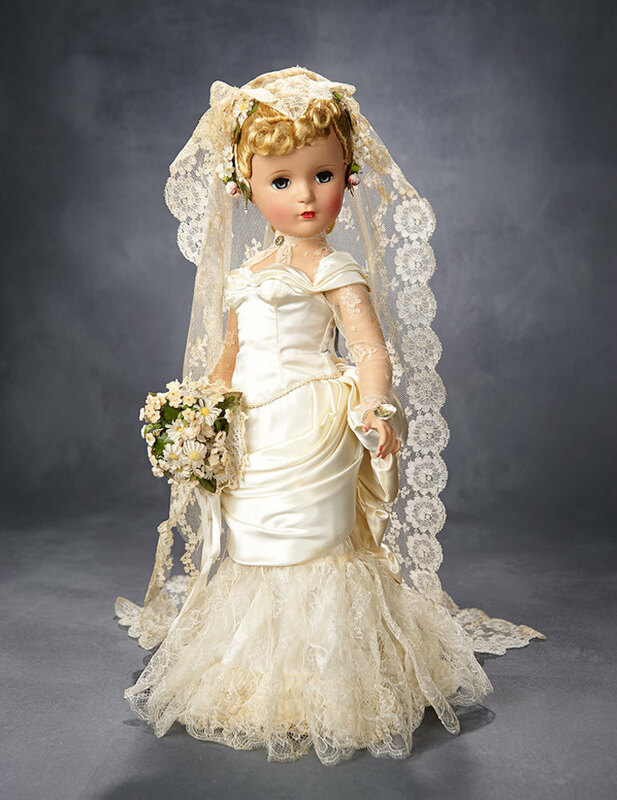 Another one of the six models from the Mystery Doll Series, the Victorian Bride portrait doll wears a stunning satin wedding gown embellished with lace and a bustle, a delicate veil and a silk daisy bouquet.